Do your hard floors need cleaning? If you are not a fan of spending hours of your precious time to scrub your floors, call our company now and book our impeccable hard floor cleaning and polishing service, it is the best one available here in Acton. If you want your floors to be quickly, efficiently and thoroughly cleaned, we are the right people for the job. We are flexible with appointments and payments. Our hard floor cleaning and polishing service is one-of-a-kind in town, and we have what it takes to prove it to you. 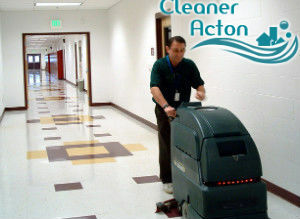 Our cleaners are very knowledgeable and they know the intricacies in their work. 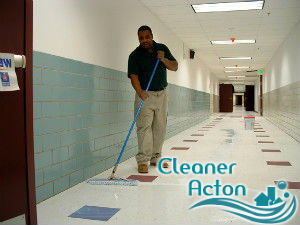 They have years of experience and will quickly and efficiently clean all of your floors. Our cleaners work using state-of-the-art cleaning machines and will give your floors a professional and thorough cleaning. If your floors are tile and grout, terracotta, terrazzo,marble, stone, limestone, or any other hard material, you can count on our cleaners for perfect results. What is more, our cleaners will use a buffing machine to polish your floors after they have made sure they have cleaned them ideally. With our polishing machine, you can expect your floors to look more than amazing. We will give them a nice finishing touch that will leave them shining and with a new gloss. Call us for an appointment now and hire our amazing hard floor cleaning and polishing service. We will prove to you that it is the best one in Acton, W3 and the most fairly priced one.